The Crusaders have history and form on their side when they host the Hurricanes in Christchurch tomorrow night in the Super Rugby semifinals. If they can get past the only other New Zealand team still in contention, just one more win will separate the defending champions from a staggering ninth championship. 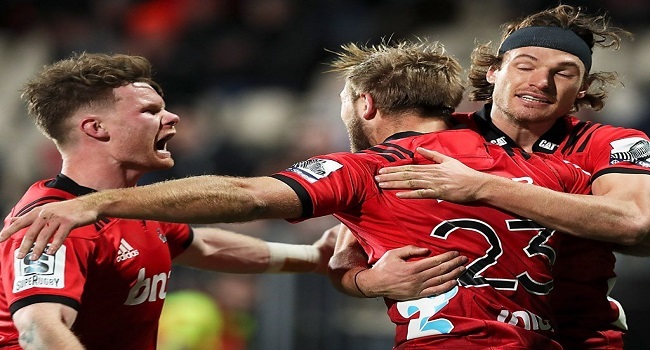 The omens are good – the Crusaders have won 11 of their 16 semifinals appearances, never lost a finals encounter in Christchurch, and beaten the Hurricanes all four times the two teams have met in the play-offs. The Crusaders will take on the Hurricanes at 7:35pm on Satruday while the Waratahs plays Lions at 1:05am on Sunday. You can watch the Crusaders-Hurricanes match live on FBC TV and catch the delayed coverage of Lions-Waratahs game at 2.05am on Sunday on FBC TV.